Thanks for the update, Stephen – nice to see this car is still out there doing what it does best. 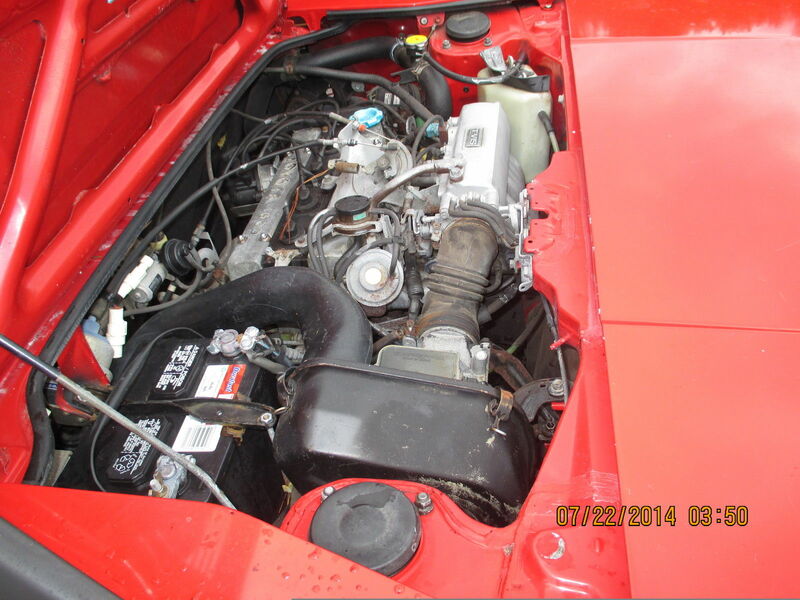 Original post: For any enthusiast of small sports cars with a small, rev-happy engine, the MR2 has to be on the list. It’s like an X1/9 without the drama (or as much emotion) – that mid-mounted Yamaha-designed four-cylinder is probably one of the nicer four-cylinders to make it through the mid-1980s emissions-controlled malaise era – the nearest competitor had a not-so-awesome 1970s Iron Duke 4-cylinder, and other sporting convertibles ran engines dating back to the 1950s and 1960s. Beyond that, you get tight handling and two handy little trunks, with the frunk cool enough to keep your beer cold and the trunk warm enough to keep your potluck casserole warm. Because people drive to potlucks in MR2s. 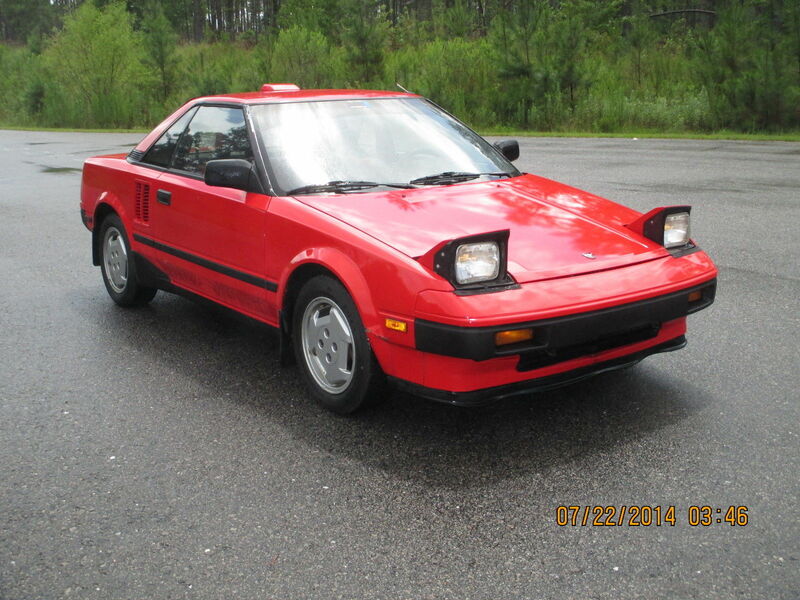 Check out this 1985 Toyota MR2 for sale with the opening bid at $3000 and 2 days left in Sanford, NC. As with any red car that’s this age, there seems to be a little oxidation, but overall it looks in great shape. 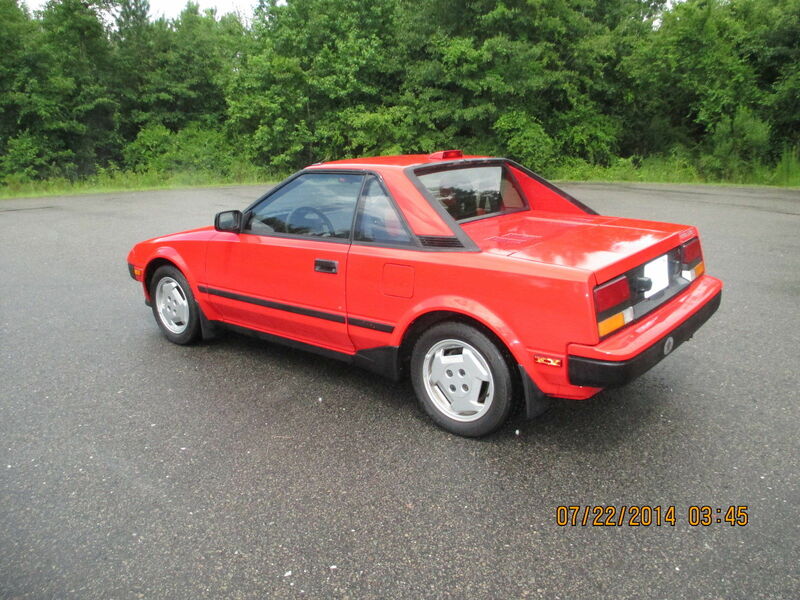 It’s nice to see a AW11 (first-generation 1.6-liter) car with no aftermarket wheels, tacky spoilers, or beaten body – it shows what a clean design this was when many manufacturers were still having a big-metal/rubber-bumper hangover. It’s nice to see that this body also seems to be free of rust. Looks good from this side too, aside from a small area of damage just between the front side reflector and wheel well. Unless you’re carrying something fairly bulky, mid-engine sports cars seem to provide the most luggage room of any configuration, and without the pop-out sunroof, you can even stuff a couple of things behind the seats. With only 139,600 miles, this car should be able to give another 100K worth of driving with attention to regular service intervals. 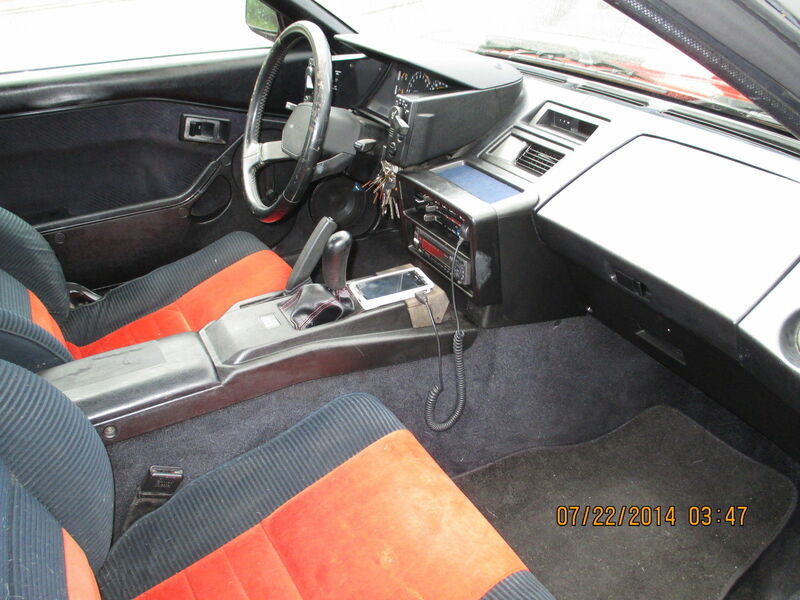 Even the interior is pretty nice, although the steering wheel cover is showing some dryness, and based on the holy-crap-how-does-that-fit-in-your-pocket sized bunch of keys, you’ll have to replace the ignition switch sometime soon. It’s very angular, following the oh-so-80s look of the exterior, and the two-tone red and grey seats just add to the effect. Amazingly, the side bolsters on the driver’s seat are intact. As with most mid-engine cars, engine access is not the easiest. Fortunately, you won’t be doing much repair on a Toyota, spending your time zinging up to the little 4A-GE’s 7600rpm redline instead. The MR2 is still a bargain used sports car, but don’t wait for long, as with increasing age and the growing Japanese classic car movement, you can expect these to move back up in price soon. This entry was posted on June 27, 2016 at 9:39 am and is filed under Feature. You can follow any responses to this entry through the RSS 2.0 feed. You can leave a response, or trackback from your own site. I had one of these for about minute in the early 90’s, it was a lot more fun to drive but the Fieros had more room. Wow this is amazing. I bought this exact car for $1400, it’s so cool seeing an article written on it with pictures from two years ago! Cool – if you have any details on how you found it, work you’ve done, etc., send them in via the contact link on the right and I’d be happy to do a follow-up post!